Through the direction of Attorney General Sean D. Reyes, the Utah Attorney’s General Office strives to be the best public law office in the United States. Over 500 full-time employees, including attorneys, paralegals, investigators, and other dedicated professionals in offices across the state, serve over 100 state agencies, boards, commissions, committees, colleges, and universities, in addition to the Governor, other executive branch officers, the Legislature, and the people of Utah. 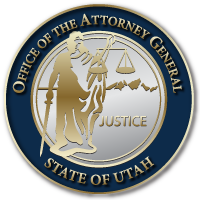 Each member of the Attorney General’s Office is committed to representing the citizens of Utah with the highest quality of legal work, integrity, professionalism, civility, and transparency. The Utah Attorney General’s Office provides opportunities for full-time employment, law clerks, or internships for those who are thinking about a career in law, policy, or politics. The Utah Attorney General’s Office is committed to fair and equal hiring practices. You can view our office’s Equal Employment Opportunity Plan Utilization Report here. This entry was last updated on March 27, 2019 .